The British central bank's circumspect chief is not prone to optimistic outbursts. But even Mark Carney is getting swept up in World Cup fever as England prepare for Saturday's quarter-final. Ahead of the match against Sweden, the Bank of England governor sported a Three Lions badge on his suit lapel at a business event in the northern city of Newcastle on Thursday. Asked about the economic impact if England win the tournament for the first time since 1966, Carney said: "It would be an unalloyed, unadulterated, absolute good." And in tribute to England's coach Gareth Southgate, whose dapper dress sense has boosted sales at retailer Marks & Spencer, he added: "I will get my waistcoat this afternoon." Carney is a Canadian whose own sporting tastes run more to ice hockey. But his faith that a good run for England will get the cash tills ringing was reinforced by a new report from data research firm Kantar Worldpanel. "We're looking at an extra 1.4 million trips to the shops on Friday and Saturday," commented Matt Botham, strategic insight director at Kantar. Unsurprisingly, alcohol was tipped to be a big winner with sales forecast to be 25 percent higher than normal this weekend. "Retailers need to make sure they're prepared for the extra footfall on a stock and staffing level -- long queues and empty shelves just before kick-off are unlikely to go down well with shoppers," Botham said. 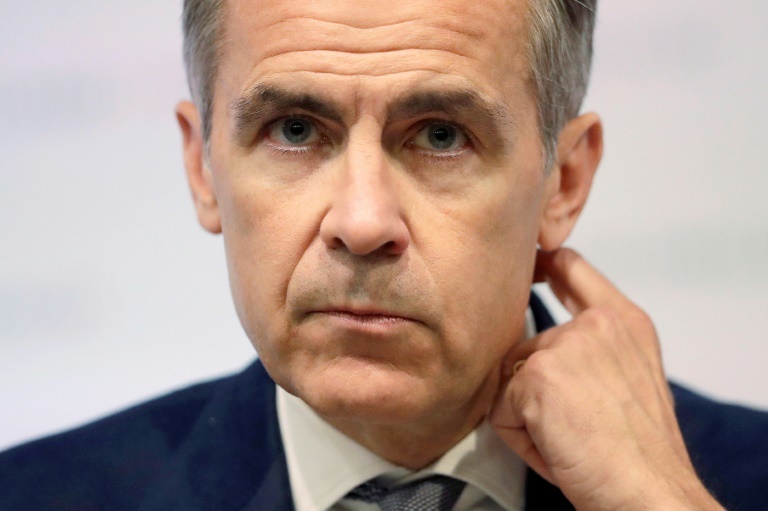 Carney, who has bemoaned poor productivity growth in the British economy, also praised the work ethic and innovative tactics of Southgate's team. "This is a pleasure to watch right now, so we are all behind them," he said.